Wacces is the leading manufacturer and distributor of sport products for the health and fitness industry. Our designs are always made with great care about you, our customer, and the ideal workout you deserve. We believe that comfortable versatile and affordable fitness products can make the difference in the world. Wacces sporting goods are simple tools, created to keep your body fit, to unwind your mind, and add a pleasant breeze of achievement to your soul. With every push-up, every stretching exercise you make, you become closer to success. So do we, the Wacces team, because your success is our goal, and our inspiration to work even harder. While sport enthusiasts come up with new inventions and technics every day, we do our best to always stay in trend and offer you the best and most effective tools available on the market. 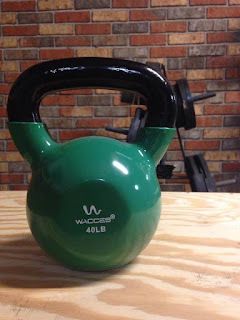 The Wacces Kettlebell is perfect tool for building strength and toning your entire body. This solid cast iron kettlebell is constructed as one piece for the ultimate safety and durability. The vinyl-dipped bottom protects your floors from scratches when not in use. Its wide handles are easy to grip as you perform exercises and allow comfortably perform better swings. I love the coating on the weight. It keep the enamel from chipping, and I keep it in the garage so the coating protects the weight from moisture as well. The different color helps me distinguish the weight from the other kettlebells immediately. I like the 40lb bell as it's a good utility level weight to have around as it's not too light so you feel like you're throwing it around and it's not too heavy where you're having to warm up just to pick the thing up properly. I believe everyone should order a kettlebell from Wacces as it is the ultimate piece of home workout gear. Quick workouts with swings, presses, snatches, high pulls, get ups, running, and body weight movements will make it so you will never have an excuse to not get in your workout. Add on the ability to easily travel with it makes this item a no brainer! These bands offer resistance and a workout that bulky heavy weights cannot. The two way resistance allows you to benefit twice from a single motion compared to the single upward motion you do with the traditional weights. 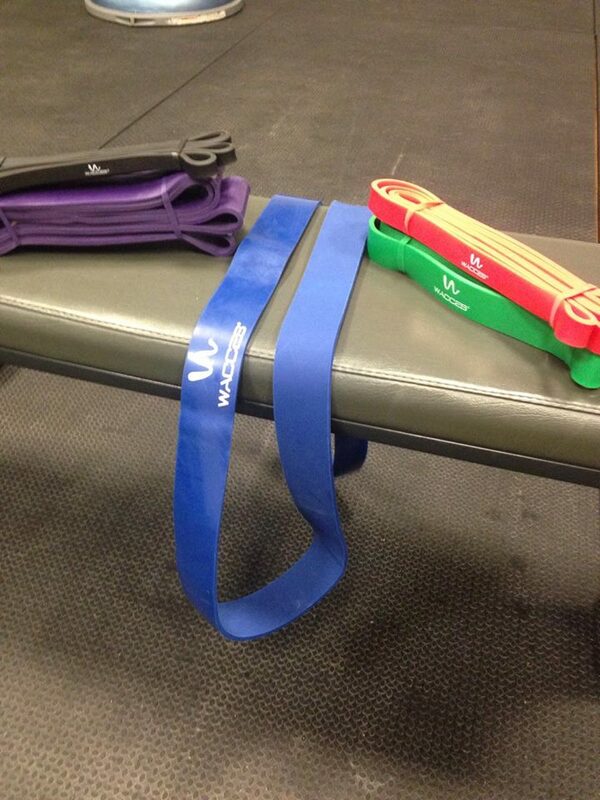 Resistance bands allows you to get fit, lose weight, gain muscle, get stronger and achieve your fitness goals. The quality of the product is great and you don't have a horrible smell like so many other bands. The bag to keep them in is the perfectly sized, which really matters more than you'd think--I've bought resistance bands before and the bag was always too small and aggravating. I had to leave them laying around instead of putting them up and keeping things neat. The bands have different weight resistance, which I really enjoy. I started off with the least resistance and will work my way up. They are easy to use and you'll be able to tell a difference. I've only used them three times and can really tell a difference. They make my muscles sore (a good sore) when lifting weights didn't. I'm really loving the door-safe anchor. I can do lots of exercises by using this. The ankle straps are a huge plus, too. With the door-safe anchor, ankle straps, and two handles I can get a full body workout. My only problem with the bands is that it can be difficult to connect the door-safe anchor to the band if you use the latch on the end of the band, and that they do not quite have the same durability as Crossover Symmetry bands. This Wacces Bodybuilding advanced resistance bands set is an ideal portable gym, that you can you at home, in a work place, or outside while you enjoy sunshine and pleasant wind. Each Wacces band made from strong durable rubber. You can use them for many years and they will not lose their elasticity and strength. They beat molded bands in performance, strength and durability. Body Building Bands for CrossFit resistance bands are versatile exercise bands. Since bands are available in different resistance levels, they can be used by any sport enthusiast or athlete of any fitness level. There is also a mechanical advantage in resistance bands that resistance is maintained through every part of the motion while many similar free weight exercises are actually non performing work during parts of the lift when movement isn't against gravity at a large enough angle.With your resistance band training, every part of both the concentric and eccentric part of the exercise has resistance, resulting in better range of motion strength and more complete stimulation. This is a great investment for a start up gym! Instead of cables you can use these in many ways that a cable system can be used as well! Great for pull ups and of course to work on your explosiveness on squats, bench and dead lifts. I've seen these used for dumbbell presses as well! With this band hung from my pull up bar I can get more reps in and it has increased the number of unassisted pull ups I can do. I've found that the green band is pretty equal to the assistance you would receive if a buddy was helping you with your pull ups, and you can change the amount of assistance by putting your foot through the band for more assistance or just using one knee for less. The thinnest, lower-resistance bands are best for pull-up assistance, general conditioning, rehabilitation, jumping, speed training, and beginner / light weight training. The smaller bands can safely raise the intensity of a weightlifting movement without adding additional weights to a bar. For the stronger lifter, they will also add considerable resistance to bicep and tricep exercises. The mid-level bands can be used by stronger benchers, as well as for banded squats and other exercises involving the lower body, calves, quads, hamstrings, and glutes. Bands are lightweight, no-nonsense additions to your prehab/rehab/recovery regimen. They fit easily in a gym bag pocket, make good complements to other essential mobility tools. 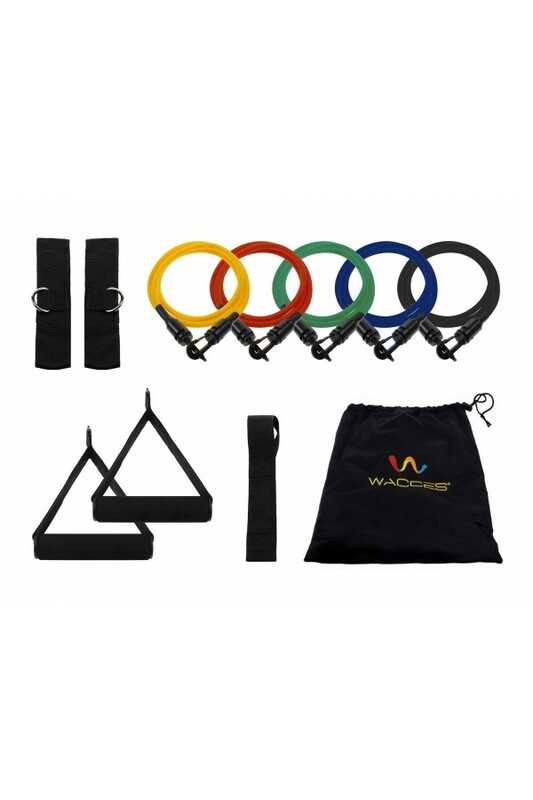 This rating is a combo rating for all Wacces Fitness Gear Items. They offer a lot of various fitness gear, so check out their website http://www.wacces.com/ - Aside from the few critiques above, I feel this gear is great for beginners and the general fitness population but some athletes may not find what suits their needs, such as heavier weights on the kettlebells and dumbbells. However, other than that, the quality is great and the price value is as well!